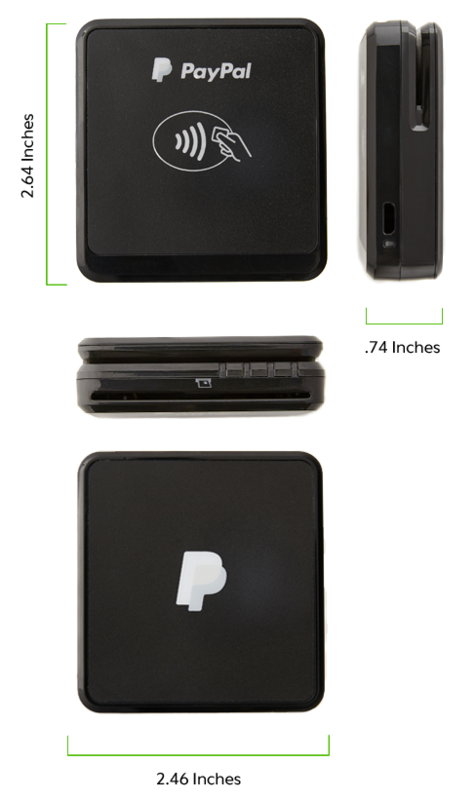 The PayPal Chip and Tap Bundle turns your compatible smartphone or tablet into a point-of-sale system. The charging stand can keep your reader charged, all day long. Accept chip card, magnetic-strip cards and contactless payments like Apple Pay® or Android Pay™ while your Chip and Tap reader charges. Magnetic stripe, chip card, contactless like Apple Pay. Most Android and iOS smartphones and tablets. Accepts EMV chip cards, contactless/NFC-enabled mobile phone payments like Apple Pay®, and traditional magnetic-stripe credit and debit cards. Keep your PayPal Chip and Tap reader fully charged while taking payments all day. Easily insert your reader to use it in-store or remove it to get paid on-the-go. For greater stability and added security, you can attach the stand to a table or counter using the installation template included with the quick start guide. 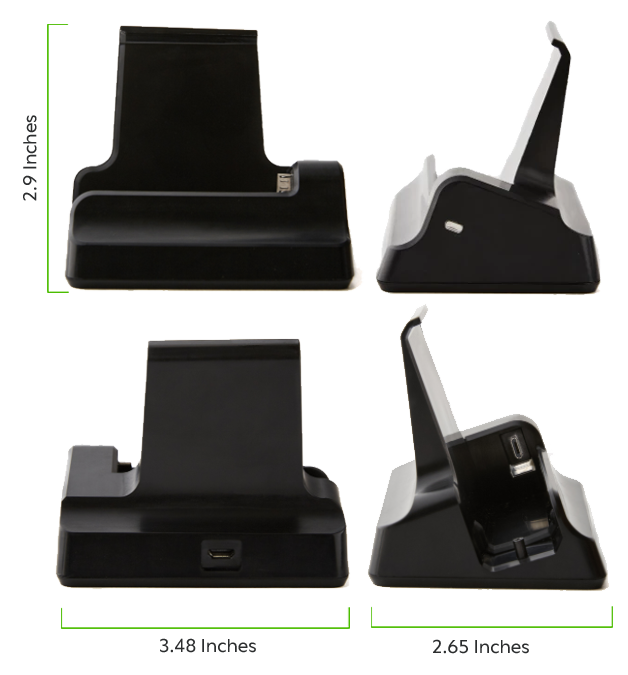 Includes a locking screw to secure your Chip and Tap reader to the charging stand. You can use any standard USB to micro USB cable, or the cable included with your PayPal Chip and Tap Reader. Works with third party USB wall adapter. The PayPal Chip and Tap Bundle turns your compatible smartphone or tablet into a point-of-sale system. The charging stand can keep your reader charged, all day long. Use them together and you’re all set to securely accept credit and debit cards, and contactless payments like Apple Pay® and Google Pay™, send invoices from the app or online, and even record cash and check transactions. *When returning the PayPal Chip and Tap Bundle, both the reader and the stand must be returned to be eligible for a full refund. If only the reader or the stand are returned for a refund, the refund will be the regular list price of the returned component less the $10 bundle discount.